At the heart of Vaughan’s downtown, the community meets at this 220,000-square-foot complex with direct access to the VMC subway station. 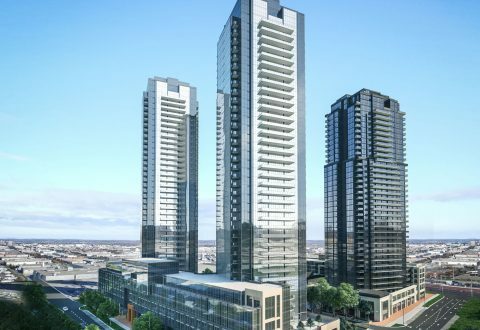 PwC-YMCA Tower is a mixed-use building with Class A office space and a new Centre of Community for the Vaughan Metropolitan Centre. PricewaterhouseCoopers (PwC) is the lead tenant with 80,000 square feet of modern office space on four floors. The Centre of Community is an out-of-the-box collaboration between the City of Vaughan, YMCA of Greater Toronto, and the landlord, SmartCentres. The City of Vaughan has 36,000 square feet for a new Vaughan Public Library branch, performing arts studios, and a community kitchen. The YMCA of Greater Toronto has 77,000 square feet for a new flagship location. The facility will offer a large pool, fitness area, gym, conditioning room, youth zone, fitness studios, and community rooms, along with a range of classes. The YMCA will also offer licensed not-for-profit child care. Highly-trained and registered early childhood educators will develop innovative programming, guided by the YMCA’s evidence-based curricula. 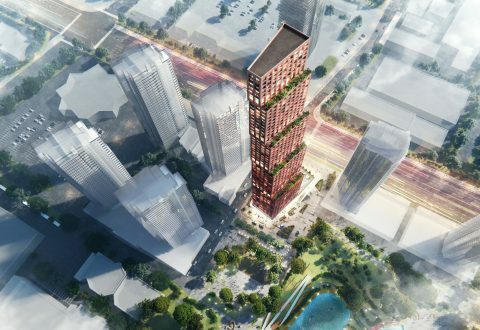 The 60-storey CG Tower will be the tallest building in Vaughan and an architectural landmark in the VMC. 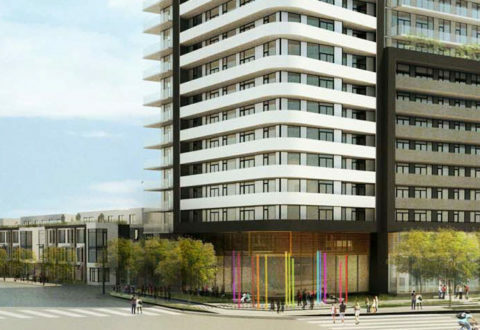 Built by one of the most experienced condominium developers in the GTA, Plazacorp/Berkley Developments, the MET Condos is an exciting residential development of high-rise condos and townhomes in the heart of Vaughan’s new downtown. Get the latest VMC updates and event listings by signing up for the Vaughan Economic Monitor eNewsletter. Copyright © 2019 City of Vaughan. All rights reserved. 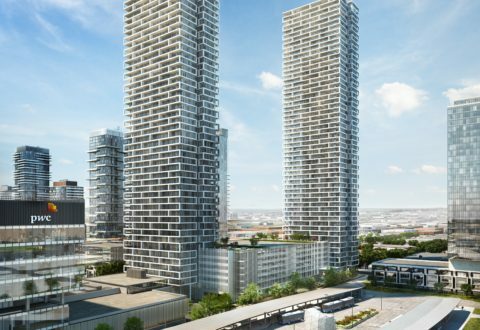 Information specific to development projects is for illustrative purposes only and is subject to change pending City of Vaughan planning approvals.